In today's competitive real estate market, timing is everything. Here, you will also find Exclusive Listings not found on the MLS® System. Many properties are sold before they are ever advertised. Beat other buyers to the hottest properties for sale with my New Listings Notification. If you are thinking of selling, I would be happy to talk with you. When I list your property, it will be featured on over 300 different web sites including Real Estate specific sites as well as a network of Professional Real Estate agents who are working to promote your property, giving you maximum exposure and ensuring the right buyer is found as quickly as possible. Whether you are buying or selling a property, hire someone like me, who wants to earn your business. I invite you to contact me as I'd be happy to assist you with this important transaction.Living here all my life, I know the area. Q. Why should we buy our property with Paul? I am aware of the trends in real estate in my area and I’ll ensure you are purchasing the property that suits you. I’ll give you my opinion and ensure you have all the information to make the right decision. Showing comparable sales will ease your mind in knowing you bought your property at a fair price. Many factors are involved in the purchase process and I will make the experience as enjoyable as possible. Buying any Real Estate is a big investment and it's serious business. I treat it seriously. You will be well informed and in constant contact with me during the buying process. Q. Why should we list our property with Paul? 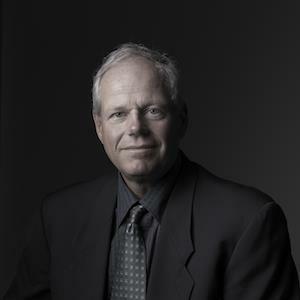 I have been registered to sell real estate since 1988 and have had my Brokers designation since 1990. I intimately know Prince Edward County, as I have lived here all my life. I began my real estate career with my father’s firm until he passed away and learned valuable lessons on how to deal with clients. I am well respected and have a great working relationship with all the agents in the area and our ultimate goal is to put a deal together. Having been involved in the real estate market for many years I have seen the ups and downs of market trends. Q. How do you determine the right selling price of our property? Setting the listing price can be difficult at times. In large subdivisions it’s much easier as you can find comparable homes that have recently sold. Outside the urban centre it becomes more difficult. You will find neighbouring homes that are quite different, in size, construction and quality of finish. In finding the correct list price, I try to find comparable properties that have sold recently. By making adjustments to these properties, allowing for size, location, construction quality etc, I try to arrive at a selling price. Statistics show that if a home is priced correctly, it will sell usually within 80 days. There are some common trends that I find. Of all the homes that sell in Prince Edward County, the sale price is generally around 95% of the listed price. In 1983 the average home sold for $52,000. In 2012, the average rose to $289,000, with the highest year being 2012 at $318,000. The average yearly increase has been 5% over this period. In the end, I try to assist the property owner by giving my educated and well researched opinion. Ultimately it’s up to the owner and I’m happy to work with them to set the price. Q. How will you market our property? Marketing real estate has changed significantly over the past 10 years. Over 90% of buyers are searching for properties on the internet. Technology is becoming ever more important. When I list a property, the ‘listing’ is uploaded to my personal web site: pictonrealestateinfo.com. Buyers are able to see virtual tours, download brochures and ask questions about your property, which I instantly receive and respond to immediately. From my site, your listing will populate to at least 20 other real estate web sites: estate life, homefinder.ca, Kijiji to name a few. This gives you maximum exposure. As well, I have agreements with over 300 Real Estate agents who will feature your property on their personal web site. When someone visits their site and elects to search for properties in our area, your listing will be featured. Your listing is also placed on the MLS system known as realtor.ca. It’s the number one web site in Canada, run by Realtors, where buyers search either by a map or specific address. The listing is also placed on our local Real Estate board site, quinte-mls.com, where the buyers can access and as well, each Realtor in our board can see the details. Neighbouring Boards are also able to access the listing details. Many have clients who look for specific property types and are set up an automatic notifier system which alerts the buyer if any listings fitting their criteria become available. We also have your listing featured on our Century21 web site. I have my listings on more web sites than most agents in the area. I have digital photography knowledge, allowing me to take photos of your property and upload great photos of your property. I am proactive and upload all pertinent documents for other realtors to view, surveys, well reports etc. Although I focus mainly on internet advertising, I cover all aspects and rotate listings in the Picton Gazette on a weekly basis. The ‘for sale’ sign is also effective, passers-by notice and with my added feature, “Street Text” I place a rider sign on the’ for sale’ sign and anyone can enter the code in their phone and they will instantly receive a text message with all the information about your property. When anyone requests information, I am able to reply immediately with the requested information through my electronic tools, via email, text or phone. In my experience, open houses have not proven to bring buyers to the home. It’s usually the neighbours who come to view. With virtual tours and instant access to photos, many potential buyers, who like what they see, will call to make an appointment for a viewing. That being said, I encourage the other agents to view and I like to have an ‘Agent Open House’ so that they can see the property. Depending on the timing, I either set up a period of time on a specific day that allows the agents to fit their schedule and freely come and go. 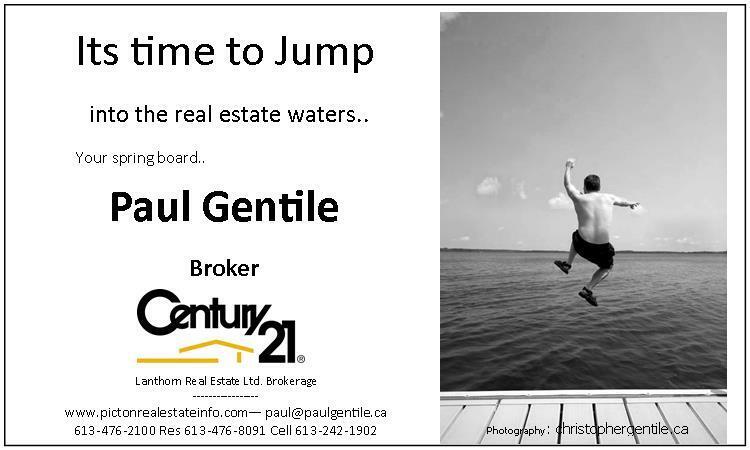 If you wish I can send specific listings in the Quinte Area automaticlly by email. When new properties are offered, you will be notified. Fill in the form below and give me an idea of your wants, price range, waterfront bedrooms etc. The more detail,the better. Tell me what you want to find.